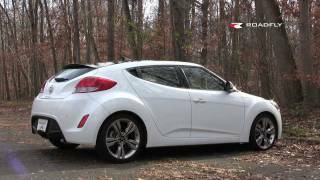 Hyundai Veloster 2012 made its world debut at the Detroit Auto Show 2011. 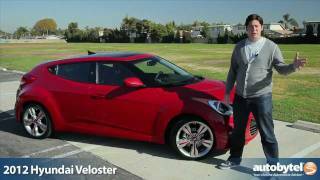 The Hyundai Veloster features a new 1.6-liter GDI Gamma engine paired with six-speed manual transmission and Hyundai's first dual-clutch transmission; up to 40 mpg highway fuel economy; 7" touch-screen display; tons of multimedia capabilities including Pandora internet radio; AVI & mpeg video playback via USB and Blue Link telematics platform. Find more details in the press release after the jump. Hyundai today introduced its cutting-edge Veloster three-door coupe in a world debut at the North American International Auto Show. 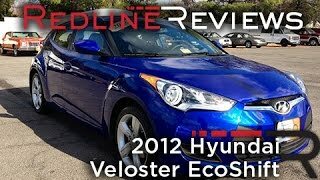 The 2012 Veloster delivers innovation to the compact coupe segment with a unique third door for easy rear-seat access, Hyundai’s Blue Link telematics system, Pandora internet radio with seven-inch touch-screen display, and a new 1.6-liter direct-injected four-cylinder engine mated to Hyundai’s first dual-clutch transmission. Why can’t a sporty coupe get 40 miles per gallon? Why can’t Hyundai have two coupes – a playful front-wheel drive model targeting the likes of Mini Cooper and Scion tC to complement the sport-focused, rear wheel drive Genesis Coupe? One of the display’s unique features is an Eco Coach scoring system. This system acknowledges fuel-efficient driving with an eco rewards score and it accumulates points over time for a total Eco Score. 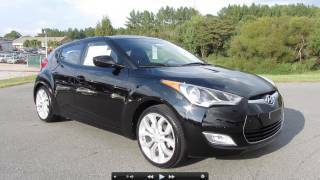 The Eco Coach also provides instant fuel economy feedback so drivers can compare their average fuel economy with other Veloster owners on www. myhundai.com.